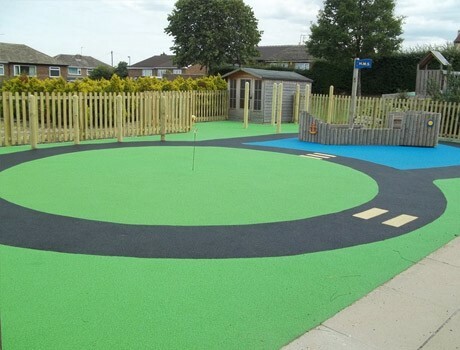 The transformation of this tired and uninviting Primary School play area was immense as the old dilapidated timber play equipment and obsolete tarmac surface were replaced with a vibrant, beautifully designed play area. 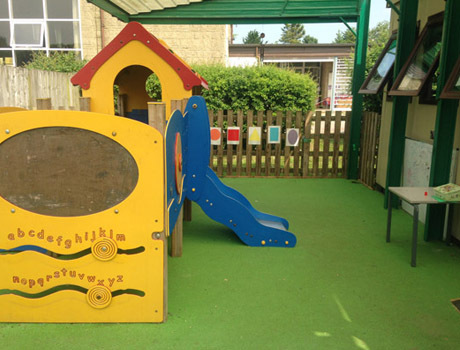 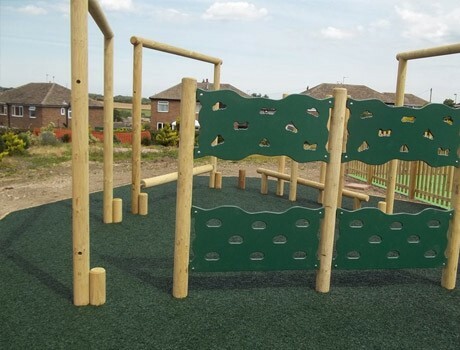 A timber clamber stack was installed to the centre of the play area with a continuous timber trim trail and wetpour safety surfacing taking pride of place in a newly constructed section of the school playground. 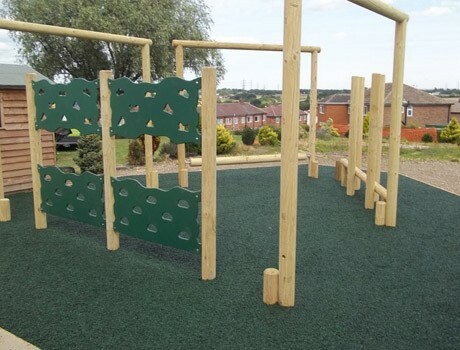 The trim trail items included a Rolling Log, Hang Tough and Rope Walk as well as a Rock Panel Traversing Wall and the main challenge of this trim trail was to attempt the trail in a continuous clamber without using the safety surfacing. 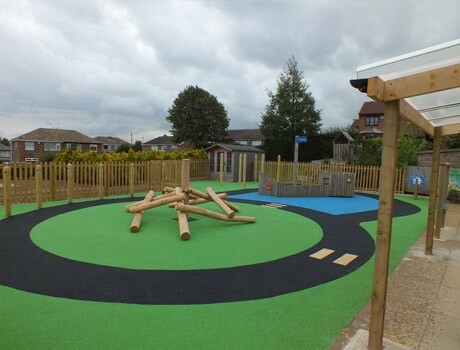 The play area design also included a Timber Tug Boat for role play as well as a Music area with freestanding activity panels including a wobbly fun mirror. 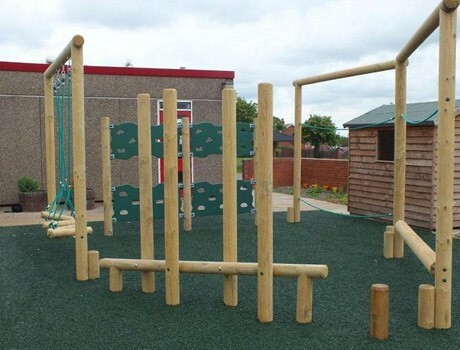 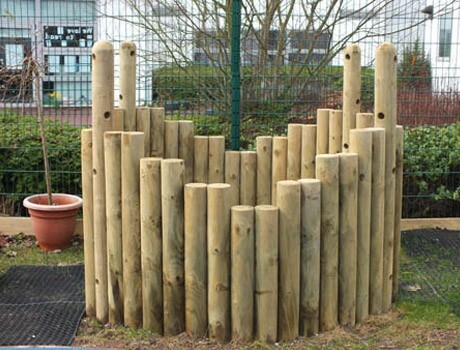 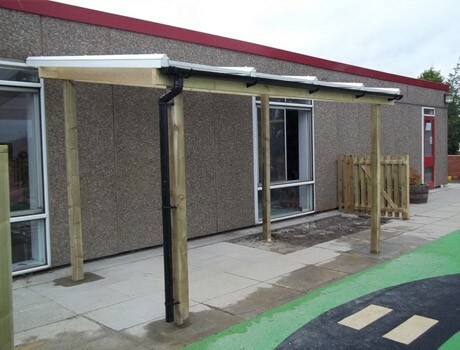 Den making poles were in abundance and the Flexiplay wetpour safety surfacing completing the play area with an exciting cycle track including a zebra crossing running through and around all the climbing activities.